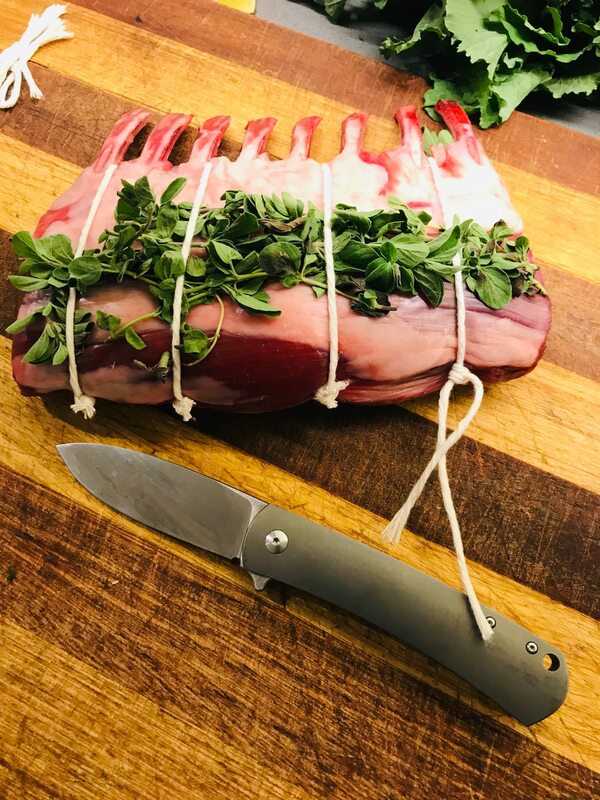 Prepped rack of lamb with oregano, garlic oil and a Massdrop Laconico Keen. 400F for about 20 minutes to just clearing 120F internal temp. Let rest for another 20 minutes. Nice looking meal coming up. I am not a big lamb eater but that one looks pretty good to me. I recall a post about that knife on blade forums a while back. Nice. Thank you, gentlemen. It looks like I advanced from whatever the starting title is. I cannot recall now. I boned and rolled another pork shoulder this morning. Used my Shiro F3. It is a great utility blade. This time I wrapped it in cheesecloth and will braise it in cream and white vermouth. I will snap a pic later. PS: I’m a retired chef enjoying life with some new toys. EDIT: I see I repeat myself. Saw you commented on my intro post.